Earlier this month we received an interesting call out of Hudson. Often times we get reports of birds of prey that have become stuck on the top of old splintered poles. Sometimes, when the situation allows, we are able to use a ladder to get the bird safely down. Every once and a while however we have to call in to TECO for assistance when the bird is stuck on a live electrical pole. This was not the case in this call though. 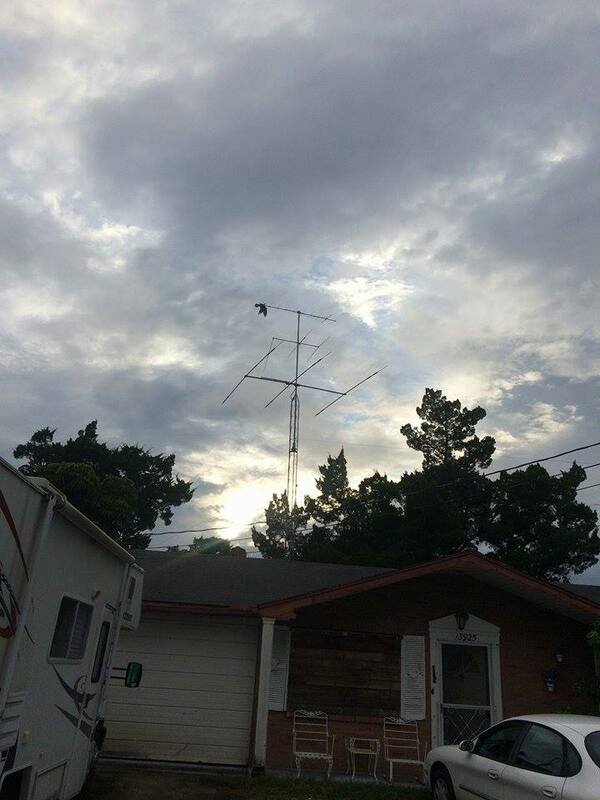 This was a first for us to have what appeared to be a possible eagle snagged on a radio tower. We had to call in the big guns for this rescue. With the help of Fire Rescue Stations 10 and 19 and their ladder truck we were able to safely get the bird down. Was on the ground it turned out to actually be an osprey that have gotten one of her talons stuck in a hole in the antenna. 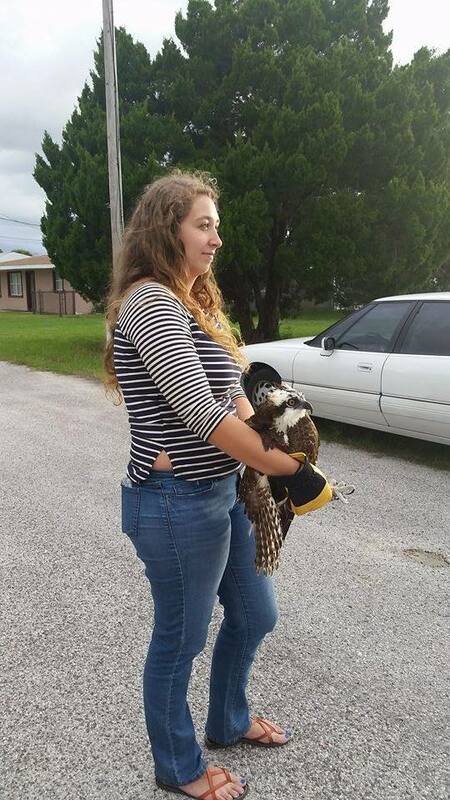 She was quickly whisked off by our volunteer who was on sight to assess and stabilize the bird. After a thorough exam the bird appeared to be in excellent health but we wanted to have series of xrays down to verify that everything was in fact fine. Sure enough she was lucky and had not sustained any injuries while she was stuck on the antenna. With her clean bill of health she was ready to go right back out to her area and the neighborhood was thrilled to have her back. We love what we do and when we are given the opportunity to work so closes and cooperatively with other agencies it makes our rescues even more impactful. If you happen to find any wildlife in trouble please make sure you report it to a licensed rescue organization like Owl’s Nest Sanctuary for Wildlife so that it can receive the care and treatment it needs. We also ask that you consider making a donation to Owl’s Nest Sanctuary for Wildlife so that we may continue our work which includes the rescue, rehabilitation and release of wildlife in the Tampa Bay Area. And make sure to follow our blog to stay up to date on our cases! You can also now follow us on Facebook, Instagram, and Twitter! And stay tuned for a YouTube Channel coming soon. Who Put That Fence There?